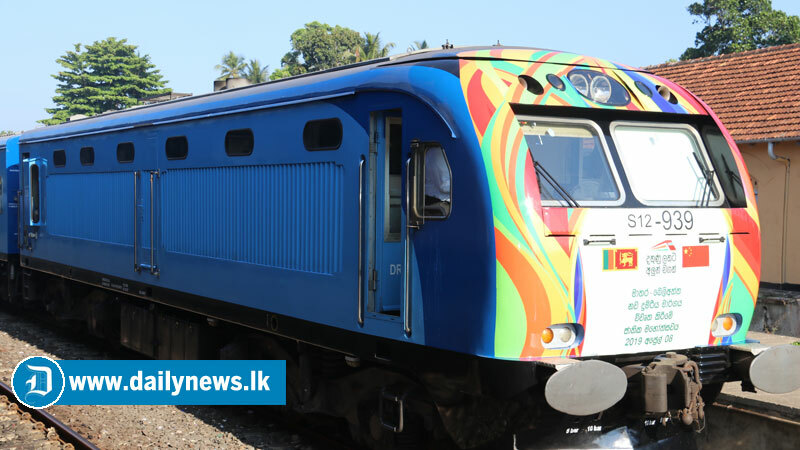 The Matara-Beliatta railway line will be declared open today by Minister of Transports and Civil Aviation Arjuna Ranatunga. It takes 20 minutes to travel between Beliatta and Matara. A first-class tickets are priced are Rs.120, second-class tickets are priced are Rs.70 and third-class tickets are priced at Rs. 35. Construction of the Matara to Beliatta section at a cost of $ 278 million was carried out by a Chinese company with the funding from China Exim Bank. Supervision is being carried out under the guidance of the Central Engineering Bureau..
Three main stations, Kakanadura, Bambarakanda, Wawurukannala and two substations Piladuwa and Weherahena are constructed between the two destinations for the convenience of the public.